For congregations in which Baby Boomers and the previous generation form the majority of the membership, Fresh Expressions Canada’s “Reimagining Church: shaped for mission” course is an indispensable tool in your ministry toolbox! Since 2013 it has been, downloaded over 1300 times, taught several times by at least three Toronto area bishops, contextualized for use in the Maritimes, and used effectively by churches of seven or eight different denominations. The course is a tool to facilitate a much needed conversation about the changes the Baby Boomer and previous generations of Christians have experienced and how they have responded. 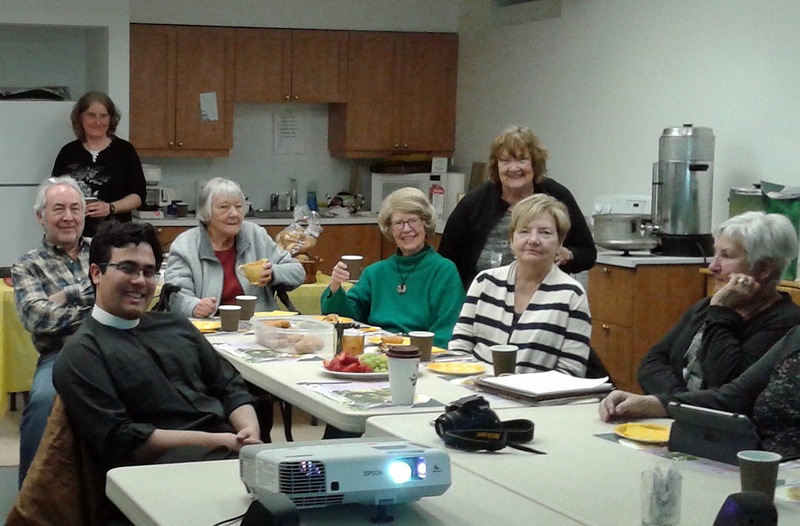 Since October 2015 in the Anglican Diocese of Montreal, “Reimagining Church: shaped for mission” course*, has been successfully presented in eight different parishes and regional ministries. Earlier in that year I was hired by then Bishop Barry Clarke, who had been impressed by the Toronto’s area bishops’ experience with using the course, as Bishop’s Missioner for Reimagining Church (one quarter time) to present the course around the diocese. Reimagining Church with the Laurentian Regional Ministry at Morin heights, QC. Well over one hundred and twenty people, including the wardens of the parishes involved, participated in the course. Participant evaluations were completed for each course and the results studied by the parish clergy and myself. A consultation with clergy leaders from all the parishes and ministries involved as well as our Bishop, Executive Archdeacon, Diocesan Missioner, and an ecumenical observer took place in early May, where the usefulness of the course was evaluated and necessary next steps were considered. One participant wrote, “I like that this course has made people rethink what church is and what they have to do,” another wrote “I like that our diocese is putting much effort now into vision for missional change.” A third wrote, “I wish the whole parish had been there.” The group felt that the course enabled their members to have conversations about many of the changes that the majority of them have experienced and how those changes have affected, and continue to affect, our understanding and experience of being church. It was felt that just about every parish in the diocese would benefit from doing this course. 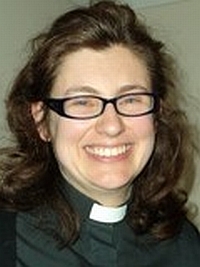 Over the ens uing years, Fresh Expressions had morphed into a broadly-based, ecumenical coalition consisting of ten denominations and seven “associate partners.” This coalition has produced a range of training resources which are increasingly in use, not only in Britain but also in many other parts of the world, including Canada. The impact of the Fresh Expressions movement was now being felt and measured within the church in Britain. In 2012-13, the Church Army Research Unit in Britain surveyed ten out of the forty English dioceses to assess the impact of Fresh Expressions. It found that 75% of the people involved in fresh expressions of church were not previously involved in any form of church. As a result, Christians from many nations have become interested in what has been happening in increasingly secular, post-Christian and consumeristic Britain. 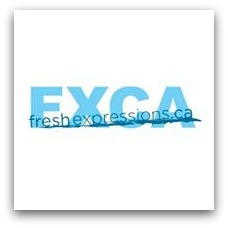 To this end, Fresh Expressions Canada has adapted the Fresh Expressions training resources from the UK as well as developing some of our own. 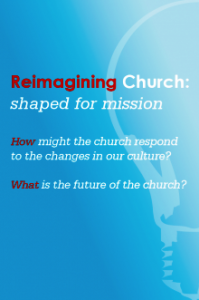 The Reimagining Church: Shaped for Mission course has been downloaded over three hundred times, and has been successfully run in many locations by a wide variety of leaders, including four Anglican bishops. Students from at least half a dozen denominations have taken the Mission Shaped Ministry course (now renamed the Fresh Expressions Course). The twelve Vital Church Planting conferences (eight in Toronto, four elsewhere) which Fresh Expressions Canada has co-sponsored have welcomed attendees and presenters from a variety of church backgrounds. For the past fourteen months, a small group of Christians, including a Baptist and a United Church member, as well as Anglicans, scattered across Canada from Whitehorse to Montreal, have been meeting online in real time, for two hours every two weeks, to follow The Fresh Expressions Course (Click here to watch a short video introducing the course.) This has provided great content and meaningful collegial support for practitioners in the field. The most recent examples of grass-roots ecumenism at work are two developing collaborations with various parts of the United Church of Canada. Chris has organized a cohort of people wanting to learn more about “Fresh Expressions” (that is, some of the experiments in new ministries that have been developed in England – Google it – great stuff out there!) There are about 24 people now involved, (many of them the United Church ministry leaders who went to the Greenbelt Festival last summer, where they actually experienced a variety of Fresh Expressions). Chris has connected with the lead Fresh Expressions Canada staff person, who is helping resource the cohort. 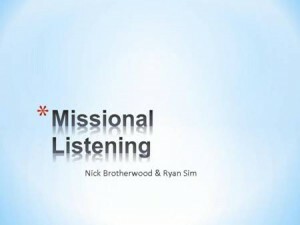 Using content drawn largely from The Fresh Expressions Course, participants from across the country have met online in real time for an hour each month with Chris and me to look at different aspects of starting new missional projects. This is then followed-up by Chris, who meets online with the participants one-on-one. The second is a potentially multi-year collaboration with the United Church’s Halton Presbytery (centred in Oakville, ON), where church teams, perhaps ten to begin with, each with an existing mission project, will covenant to ongoing training and reflection, using content drawn from The Fresh Expressions Course. This collaboration is due to start later this year. The church these days is trying to adapt appropriately to a rapidly changing situation, and Fresh Expressions Canada is trying to match the training needs with suitable resources. With the experience we have built up over the past six years, we are able to come alongside churches and denominations who want to develop their skills in this challenging area. Fresh Expressions Canada is committed to sharing the lessons that are coming out of the global Fresh Expressions movement as widely as possible. For Reimagining Church materials, click here. To download the Mission-Shaped Church report, click here. To see the results of the Church Army research, click here. In this interview with ChurchNext TV , this seasoned academic unpacks this definition, shares with us the things that are ‘working’ in the Fresh Expressions movement in Canada, and gives us some best practices toward building healthy congregations. “I realise that the church, called to be counter cultural, shouldn’t always pander to the wants and desires of the predominant culture. If it did we would have pews full of Christians singing cheesy Victorian hymns, separating church life from real life and having very convoluted and formal ways of making decisions. Actually, thinking about it…. Read Norman’s eight principles here. The York-Simcoe Area of the Diocese of Toronto will welcome Sally Gaze, author of the book, Mission-Shaped and Rural, from the UK. The Trent Durham Area of the Diocese of Toronto will welcome Sally Gaze, author of the book, Mission-Shaped and Rural, from the UK. Come and explore the joys and challenges of being ‘mission-shaped’ in our rural contexts. The workshop is for both clergy and laity. Come and bring a parish team! Location: St. John’s Anglican Church, Ida, Cavan, ON. Click here for more details. These are notes from a workshop by Nick Brotherwood & Ryan Sim at VCP 2012. 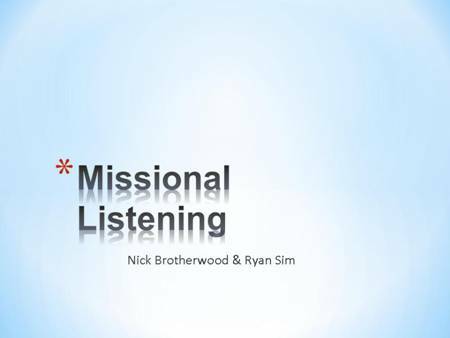 Missional Listening Exercise Questions (PDF) to be answered based on a demographic segment from this handbook.